Read Kristof’s post to learn more about his take on how 21st century philosophy provides relevant and important context for issues such as immigration, politics, inequality, and even food. 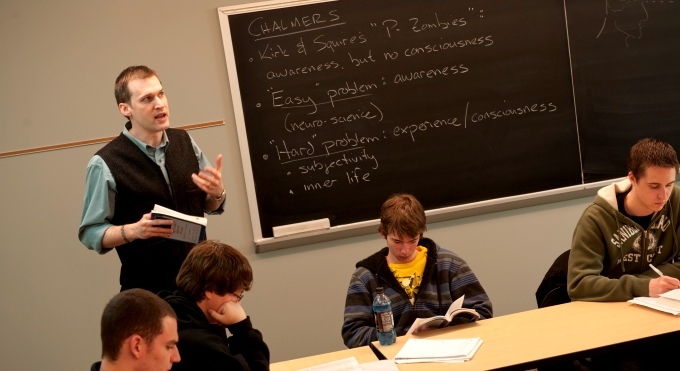 In the featured photo above, Dr. James McCrae leads class discussion. McRae is an Associate Professor of Asian Philosophy and Religion and the coordinator for Asian Studies at Westminster College.